Legal aid for a vast number of people will be a thing of the past from April 2013 with the passing of the Legal Aid, Sentencing and Punishment of Offenders bill into law this week. To mark the end of access to justice for all I am going to devote this blog until April to telling you all I know about family law from a practical perspective, in the hope that some of it may be of some use to those who will no longer be able to access legal aid, and the vast number of people out there who are already finding it impossible to afford good quality legal advice. Before I start though I think I should mention some people and resources out there already who have tried to make the life of the unrepresented litigant or ‘litigant in person’ (LIP) easier. There are 2 books which I think are good. Lucy Reed, a family barrister in Bristol and well known legal blogger: pinktape.co.uk, has written Family Courts without a lawyer, a user friendly guide to navigating through the courts. There is a companion website, nofamilylawyer.co.uk, which contains various helpful resources. John Bolch, an experienced former family lawyer and well-informed blogger too – familylore.co.uk, has written Do your own Divorce, which also steers you through the sometimes choppy waters of self-repping. A number of other blogs and sites seek particularly to help litigants in person. I have had a look at some but by no means all. Divorceaid.co.uk contains a significant amount of useful information and advice. I also really like Alan Larkin’s site, divorcefinancetoolkit.co.uk - he deals with real questions with good practical advice. 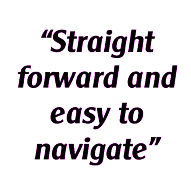 The best place to find family law blogs is a site called flawboard.net which gives you access to a number of great and informative blogs in one location. There is an excellent info site created by the government and largely put together by Roger Bamber (a partner and family lawyer at Mills and Reeve – a national heavyweight in divorce circles) called divorce.moneyadvice.org. Stupidly difficult to find but a great site. You can find lots of really useful resources on solicitor’s websites. Mills and Reeve (again) have the catchy divorce.co.uk. Also look at Manches’ website, manches.com, which is great on the law itself. A number of online sites can help with the paperwork of the divorce itself and a financial settlement - as long as agreement has already been reached. By far the best known of these is divorceonline.co.uk. Run by Mark Keenan, this site has been around for years and was very much the pioneer of online low cost divorce. 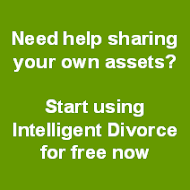 Of course there is our own site, intelligentdivorce.co.uk. You can use this just to get a view on outcome in your own case (from some of the best family barristers in the country at 1KBW) if you are stuck, or use it with your partner to come to an agreement which we will then get turned into a Consent Order for you. We obviously think it is brilliant. There are also several non-online ways to get free advice. I am a big fan of the CAB, and not just because I am on the Trustee Board of the Wealden CAB. You can get advice from the trained advisors but better still many law firms will send their solicitors along to give free advice. For example one of my team at Dawson Hart spends Wednesday afternoons at the local CAB giving family advice, and I bet this is replicated at many bureaux across the country. (The CAB also have a website – citizensadvice.org.uk). Remember too that many solicitors offer free initial interviews. At my firm Dawson Hart we offer up to an hour of free advice. This is partly because we believe that part of our role is to help our local community as much as possible, but also frankly because we get work pout of it. If you hunt around you will find really good firms like ours who will likewise offer some of their time for free, or will do so for a small fee. From now on as well as the occasional rant – which I will try very hard to limit – I will aim each week to give you some real practical help. Sometimes that will involve sending you links to other people’s sites where they have already done the work better than I could, but more often than not it will be my thoughts on discrete areas of family law that the unrepresented will, I hope, find useful.